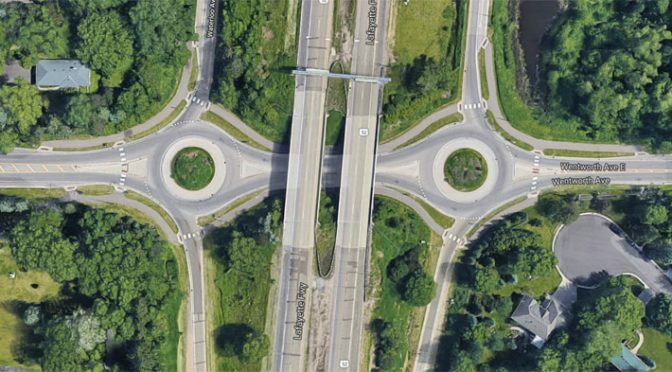 Medians & Roundabouts: What Do 2018 West St. Paul Candidates Say? We should listen to our engineers while also listening to our residents. Many times, there are solutions to deal with both safety and concerns from residents but that requires community engagement. As Mayor, I will work to engage with the community as much as possible and connect staff and consultants with the residents. With the example of Robert Street medians, we relied on the transportation experts from MNDOT and the multiple transportation studies performed over a long period of time, producing significant safety results. The medians would eliminate 90% of all left turns. A majority of the accidents on Robert Street where left turn related. With those facts and eight million dollars from the federal government, it was an easy decision to add the medians to the Robert Street project. As it relates to other projects, I would seek out support information to help make the decisions that are in the best interest of the city. Safety is always going to be my number one concern when making these decisions. Effective tools need to be used, people need to accept change. The most important thing that the city can do is share facts and information with the citizens regarding these solutions. While there is always a transitional period while people become accustomed to unfamiliar changes in the road, those are small factors when compared to the safety of our citizens. I believe that if the safety statistics were more readily available, this would shift the conversation in a more positive direction. In the particular examples here, we should also make sure that people understand that in many cases financial assistance and grants require improved safety measures such as these. If we want to seek all sources of alternate funding to limit additional tax burden on our citizens (which I will always support), we need to follow certain guidelines. We need to look at each project individually, no two situations are the same. What works well on Wentworth may not work on Thompson. We need to listen to the experts as well as the community. Change is hard. It’s even harder when it disrupts your day-to-day habits like turning left into Granny Donuts or all of a sudden having to slow down while turning in a half circle to get through the Wentworth and Oakdale intersection. Something that helps people adapt to change is giving them information. By providing the people that live here the opportunity to learn about different things that they’ll be using on a daily basis, especially when it can be a brand new concept, it could help ease that anxiety. It could easily be put together as part of a city council open house, as part of the West St. Paul newsletter that goes out regularly, or even communicated out in neighborhood meetings led by city council members. Information and knowledge are powerful things and city council members should know how important it is to provide these things to the residents of the city.